The Full House house? I would, but I'm not too flush with cash right now. Give it to me straight. Is it really worth $14K/month? I'd feel like royalty living there. Maybe we could rent with another couple. Two pairs are better than one. 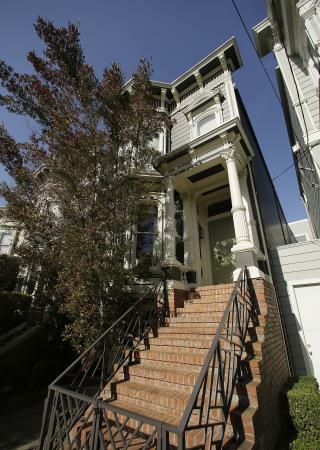 I wouldn't give 14K for that house if I had to live in San Francisco.